This delicious chicken and spaghetti casserole makes a satisfying meal with a tossed salad and crusty bread. 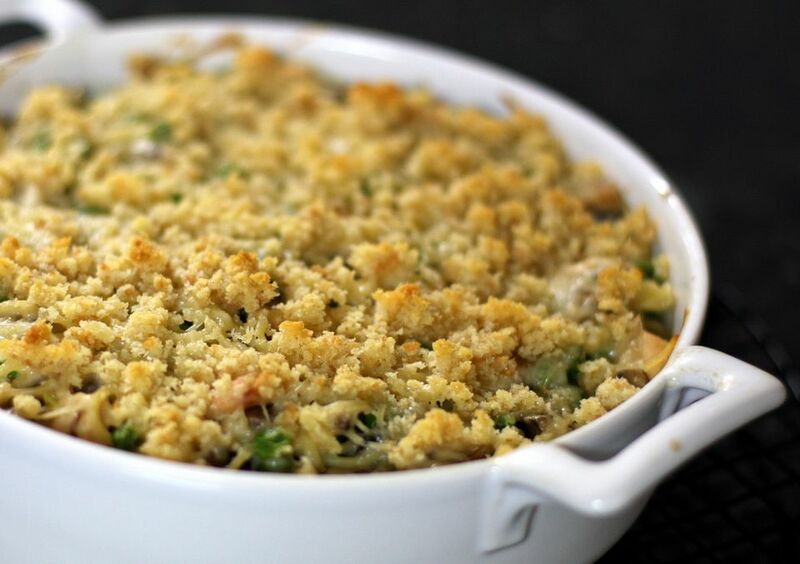 Tetrazzini is an American dish made with poultry or seafood. It was named after the Italian opera star Luisa Tetrazzini. It dates back to the early 1900s. There is some debate about the origin, but the earliest description of turkey tetrazzini was published by Good Housekeeping in 1908. Heat the oven to 425 F. Butter a 2 1/2- to 3-quart baking dish. Cook spaghetti or noodles in boiling salted water following package directions. Meanwhile, in skillet, melt 2 tablespoons butter over medium-low heat; sauté sliced mushrooms until golden. In a saucepan, melt 1/4 cup butter; stir in flour and 1/2 teaspoon salt. Stir until smooth; add chicken broth and cream. Cook, stirring, until sauce is thickened. Add chicken, cooked mushrooms, and sherry; heat through. Place noodles or spaghetti in a buttered baking dish; pour sauce over all. If desired, sprinkle with 1 cup of buttered bread crumbs. Bake in the preheated oven for 15 to 20 minutes, until hot and bubbly.